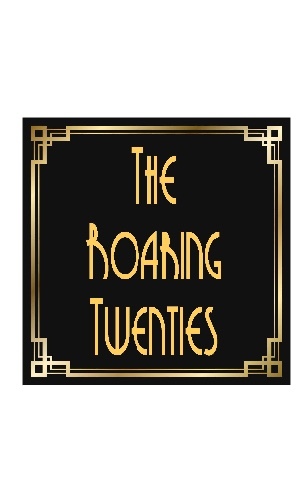 Welcome to The Roaring Twenties Auction in aid of Dementia Support. You are able to bid online for the silent auction lots until 12 noon on Friday 25th May, when online bidding will be suspended until the evening of 26th May. The silent auction will reopen at The Roaring Twenties event and bidding will resume via the tablets provided to guests. If you are unable to attend on the 26th and are solely bidding online prior to the event, we strongly recommend that you place a proxy, or maximum bid, to avoid disappointment. Your proxy bid will be carried over to the live event and will stand until you are outbid. At the end of the event if you are the highest bidder, you will be notified by text or email. Card payments may be made on the night or via BACS. Contact details will be exchanged between you and the prize donor. We are very grateful to all our donors and would like to take this opportunity to thank them for their continued and valued support and thank you for supporting our online auction. Good luck with your bidding! Minimum bid is £110 (Bid increments are £10). 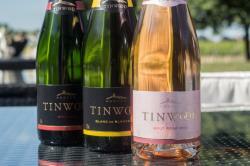 Enjoy a fun wine tasting event with a great day out at the Tinwood estate in West Sussex. 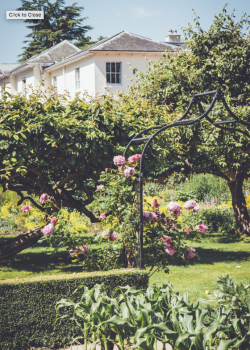 This offer is for 4 people and includes 3 glasses of sparkling wine and a tour around the estate, after which you are welcome to stay for an extra glass or bottle of your favourite Tinwood bubbles with an excellent cheeseboard with which to accompany it. Minimum bid is £160 (Bid increments are £10). Jodie Kidd and her team invite you to enjoy a 6 Course Tasting Menu for 4 Diners at the Half Moon in Kirdford, West Sussex. The Half Moon, Kirdford is a country pub, restaurant and kitchen garden where the local guests are the heartbeat of the pub. 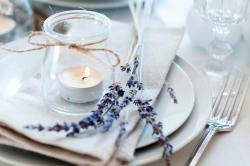 Honest, organic and home from home are just some of the values we hold close and wish to share with all of our guests. You can expect flavour and quality to be at the centre of everything we create or do – where British produce is enhanced by global flavours, the seasons are our inspiration and our menus change to reflect our kitchen garden and the ever-changing Sussex Downs. From local real ales and craft lagers to fine Sussex Wines, our beverage list is equally important to us and we work hard to ensure it is diverse and constantly evolving. Minimum bid is £270 (Bid increments are £20). Private tour of The House of Lords for four people, by Lord St John of Bletso, including formal tea in the House dining room. Anthony Tudor St John, 22nd Baron St John of Bletso is a British peer, politician, businessman and solicitor. He is one of the ninety hereditary peers elected to remain in the House of Lords after the House of Lords Act 1999. He speaks on African affairs (and is a notable expert on South Africa and Sierra Leone), deregulation, financial services and information technology. 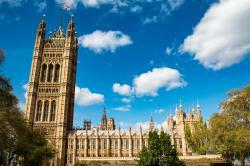 Rather than aligning with a particular political party, he remains a crossbencher. Lord St John is also an extra Lord-in-Waiting to HM The Queen. He is currently a Member of the House of Lords Select Committee on Communications as well as the Lords Information Committee. He is Vice Chairman of the All Party Parliamentary South Africa Group, an Executive Committee Member of the All Party Africa Group and a Council Member of the Parliamentary Information Technology Committee. He served as Chairman of the charity, Citizens Online, from 2001 to 2008. He plays a proactive role in the charitable sector, as a trustee of 7 charities mostly focused on Africa. He is also Chairman of Alexandra Rose Charities. This is a unique opportunity for you and 3 others to receive a personal tour of one of Britain’s most iconic institutions. Minimum bid is £450 (Bid increments are £25). 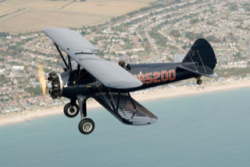 This is your chance to experience a pleasure flight, between now and the end of October 2018, in a Stearman 1943 Biplane, from Goodwood Aerodrome, over the surrounding countryside. The flight will be on a Saturday or Sunday morning for one adult. Date to be agreed with Robin Lucas and final confirmation subject to weather conditions at the time. In order to arrange a convenient date for your flight, please contact Margaret Buckley on 020 7413 2747, or email margaret.buckley@lucasfettes.co.uk. 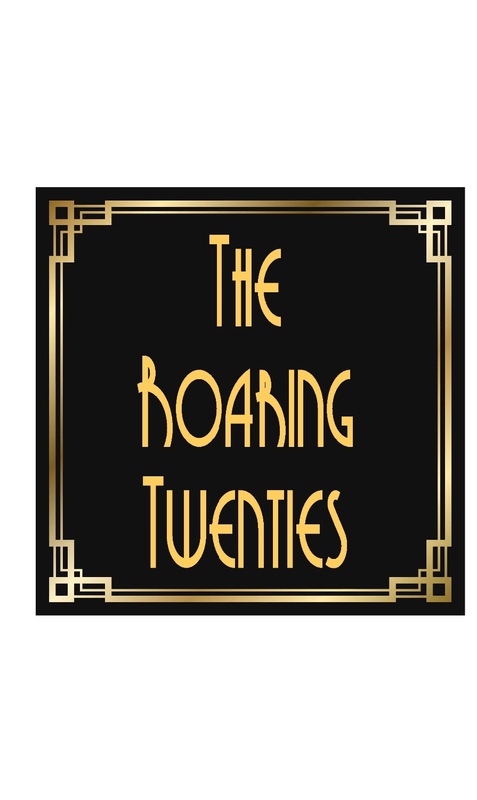 A Magnum of your favourite Tinwood sparkling wine, sponsors of our Roaring Twenties evening. The prize is for a stay of up to 7 nights during the 2018/19 ski season. 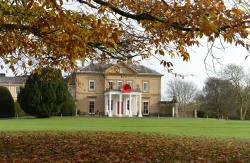 Excludes stays over Christmas, New Year, Half Term and Easter and subject to availability at time of booking. Newly renovated self-catering split level apartment in a prime location in Meribel. Incredible mountain views through large French windows with a balcony looking straight out across to the Olympic chairlift. This apartment is literally opposite the Morel chairlift that takes you straight up to the Altiport area. The three bedrooms can all be either double or twin. Large open plan kitchen and dining room, with spectacular views. One bathroom with large walk-in shower and the other with bath and shower attachment. Walking distance to a number of bars, restaurants, ski shops, supermarket and doctors! The apartment is on the 4th floor (no lift). 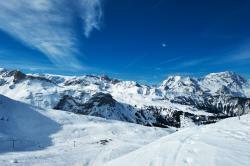 Meribel is in the heart of the Trois Vallees with a vast area to explore. The Trois Vallees boasts around 600km of pistes providing a large variety of skiing from beginner to expert. Minimum bid is £3100 (Bid increments are £100). 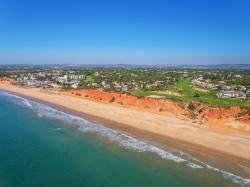 A large detached, five bedroom villa in the heart of Vale do Lobo, close to the world renowned tennis centre and golf club and within easy walk of the glorious unspoiled beaches of the Algarve. Casa Caravela is one of the original Vale do Lobo villas and is in a magnificent position; it is simply and traditionally furnished and is set in glorious gardens with a large pool. The villa is available for one week, NOT July and August and by arrangement with the owners and is subject to availability. Changeover is normally on a Tuesday and keys can be collected from the house agent out there. There are frequent flights to Faro and car hire is advised. Minimum bid is £490 (Bid increments are £20). 2 tickets to England v Australia at Twickenham on 24th November 2018. England will face the Wallabies at Twickenham Stadium on Saturday 24th November during the Quilter Internationals 2018. This will be the fourth and final autumn international to be played by England in 2018. Minimum bid is £510 (Bid increments are £10). A Salmanazar, containing the equivalent of 12 bottles, of Laurent Perrier La Cuvee NV Champagne. 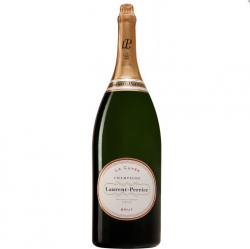 This Laurent Perrier La Cuvee Champagne Salmanazar is a pale golden hue with fine and persistent bubbles. The nose is fresh and delicate showing good complexity with its hints of citrus and white fruit. With its elegant style, La Cuvee Laurent Perrier has led the way in making champagne the ideal apéritif. Perfectly balanced with crisp flavours and finesse, it is also an ideal companion for fish, poultry and white meat. This Salmanazar ensures that there is plently to go around! Minimum bid is £370 (Bid increments are £10). Set within the famous Brooklands motor racing circuit in Weybridge, Surrey, Mercedes-Benz World is the perfect location for a thrilling Driving Experience. This is a multi car Driving Experience, allowing you to drive a high-performance Mercedes-AMG 63 and the spectacular Mercedes-AMG GT. Ideal for more experienced drivers and those looking for something extra special. Your Driving Experience is individually tailored and can include adverse road conditions and obstacle avoidance, controlled braking and high-speed dynamic exercises on our Handling Circuits and low friction surfaces. 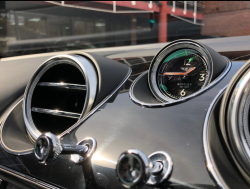 Spend 30 minutes with a Mercedes-AMG 63 followed by 30 minutes with the incredible Mercedes-AMG GT on our purpose built Handling Circuits. Minimum bid is £1700 (Bid increments are £100). This superb 3 bedroom townhouse is situated in Marathon in the Florida Keys and is available for a week, at a mutually convenient time. The villa is within The Bonefish Yacht Club marina complex and has 3 bedrooms (sleeps 6), 2 ½ bathrooms, with balconies overlooking Bonefish Channel. Guests have access to a private heated pool, the Tiki Bar and a tennis court. Boat dockage is available too. Ground floor entry and stairs leading to the first floor - living room, dining area and kitchen with balcony off and circular stairs down to the water frontage and dock. Cloakroom and a twin bedroom. Upstairs is the master suite with a king sized bed, en suite shower room and balcony with views down the main channel to the ocean. The second twin bedroom and bathroom are also on this level. Miami International Airport is a 2 hour drive from the villa. Minimum bid is £550 (Bid increments are £50). 3 good quality West Stand seats together in a row for England vs Italy on Saturday 9th March 2019. 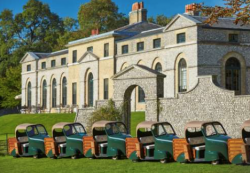 This includes a chauffeur from Sussex (or equivalent distance) there and back on the day so the guests can fully enjoy the experience! Minimum bid is £60 (Bid increments are £10). Treat yourself to a haircut at the recently opened salon in Market Square, Petworth and receive a Kerastase goody box of Elixir Ultime products. Tristan's salon aims to bring London quality styling to Sussex and in the short time that the salon has been open, it has been nominated for several high profile prizes. Tristan won Business Personality of the Year and they are through to the finals in the Salon Business Awards in two categories. This offer is valid until 1st December 2018. Minimum bid is £50 (Bid increments are £5). 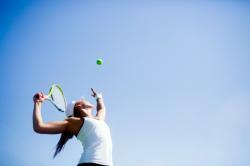 Improve your tennis with a one hour private lesson with Richard Hopp. Richard is a full time professional tennis, squash and racketball coach based in Chichester. He coaches at several locations in West Sussex and Hampshire on private courts and village clubs including Oakwood School, Chichester College, Rogate Tennis Club, Milland Tennis Club and Graffham Tennis Club. 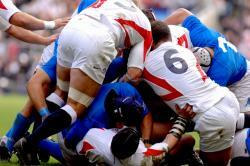 Richard's coaching style is relaxed and informal as well as informative and professional. He uses his knowledge and empathy to understand every client’s needs and tailors each session accordingly, enabling him to help you improve your all round game technically and tactically or diagnose and correct any specific faults or problems that you may have. Treat yourself to a visit to Paul Edmonds at his Knightsbridge salon which first opened over 25 years ago. The salon provides the perfect environment for the unique combination of impeccable English sophistication and fashion-forward urban chic. This amazing prize comprises a hair style review followed by a Kerastase Fusio Dose hair treatment, a makeover cut and blow dry with Paul Edmonds while one of the nail technicians will transform your hands and nails with a Jessica manicure. 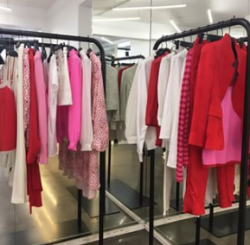 Following your hair appointment, you will meet up with Lou Black, a stylist, who offers a fun and personal fashion experience in a well known London department store. Lou will have been in touch beforehand to chat to you and will then be able to prepare an exciting rail with clothes chosen especially for your style, budget and body shape in a private VIP changing room. This takes away the hassle of trawling your way around the shop floor. All you need to do is try on selected pieces, sip prosecco and hopefully select the WOW piece to buy at the end of the session! To round off your day, indulge in a meal for two in one of The Ivy Collection restaurants. The Ivy Collection restaurants bring the inimitable service and vibrant surroundings for which The Ivy is loved and revered to a select group of upmarket brasseries and neighbourhood cafés. Each restaurant has been designed to deliver the memorable experience that is synonymous with The Ivy’s unique style, and extend the magic of our celebrated West Street venue to handpicked locations across London. Menus feature modern British dishes drawn from The Ivy’s own extensive menu so, whether you are looking for afternoon tea or a three-course meal, you can be sure of excellence in both quality and choice. Minimum bid is £120 (Bid increments are £10). 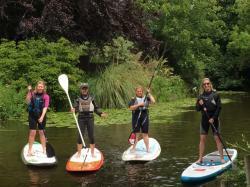 Meet at Chichester Basin and paddle board on the Chichester canal to the Blacksmiths in Donnington. Relax in the lovely garden and enjoy a three course lunch (alcoholic beverages may be purchased separately) and then paddle back to the basin. This wonderful opportunity is available for up to four people, Monday - Friday and during term time only. Valid for one year. This is Micro’s latest E scooter and will retail for £1,100. It is significantly bigger and a more robust version of the lighter version. With big wheels and a large battery, the Condor is the best scooter for longer journeys. 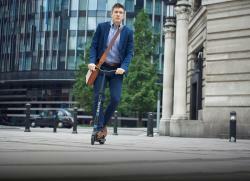 With a 20km range, an intuitive brake lever to keep you safe, cruise control and the upmost in comfort, this electric adult scooter will revolutionise your commute. This is a brand new Micro scooter and will be available to the winning bidder in November. Minimum bid is £550 (Bid increments are £25). A unique private dining experience prepared for you by two money-cannot-buy chefs! A three course meal for you and up to 10 people in the comfort of your own home, prepared and cooked for you by Lucie Patrick and Kate Hogan and with the add on service of two waiters/waitresses. As if that were not enough, champagne, red, white and dessert wines all included and generously donated by wine connoisseur, Dylan Morgan. This is a complete one-off offer so get bidding! Valid for one year at a mutually convenient date. Minimum bid is £40 (Bid increments are £10). Hire of the Westbourne House School Sports Hall including the four cricket nets for one day. The chance to win a wonderful morning flower arranging with the renowned florist Rosemary Jenkins. You will meet at Sennicotts House near Chichester, and be given coffee and delicious homemade biscuits. We will spend the morning being taught how to do hand ties for your friends using greenery from the garden. You will then be given lunch and are free to wander around Sennicotts extensive grounds which includes mature trees, a walled garden and parkland. The morning starts at 10 and lunch will end around 2.30. It is for 8 people at a mutually convenient date before 21st June 2019. Kasbah Tamadot is Sir Richard Branson’s fabulous Moroccan retreat in the High Atlas Mountains. With 28 rooms and suite and situated a mere 45 minutes from the centre of Marrakech, the peaceful surroundings of Kasbah Tamadot are reflected in the name meaning ‘soft breeze’ in the Berber language. Guests can relax by the indoor and stunning outdoor infinity pools, indulge in a treatment or traditional Hammam in the spa or gaze upon the spectacular views over the snow-capped Atlas Mountains. The tennis courts and gym keep the active types occupied and an extensive range of excursions means that there is always something to do. This Moroccan retreat is perfect for rest and relaxation and ideally located for exploration of the mountains by foot, bike or mule. Most staff members are employed from the nearby villages, giving you the feeling of staying in a Moroccan home. Your stay is based on 3 nights including breakfast, private dinner on one evening and local taxes. Minimum bid is £70 (Bid increments are £5). A traditional Christmas cake made to an ages-old family recipe (with a few tweaks), using only the finest dried fruits soaked in brandy. It will be made several weeks before Christmas and regularly "fed” with more brandy to allow it to mature into a delicious, squidgy cake, before being iced with homemade marzipan and rustic royal icing. If you don’t have the time to make your own cake and have only had a shop-bought one before, prepare for something completely different - Lucie has made these for several years for the village fête where they always attract high bids from previous bidders! 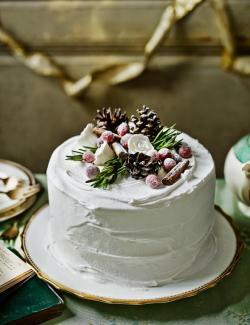 The final cake will be approximately 10” wide, iced and decorated in time for Christmas. Local delivery (15 miles from Bignor) included. If you would like get healthy from the inside out and stay that way for the rest of your life, then this is the perfect place to start! YOGA is a 4000 year old practice. It works! Once you have fallen in love with it, it will never leave you. Niki will give you a one-to-one session and start you on a journey enabling you to develop a deep understanding of your body and mind and ways to bring inner strength and calm into your daily life. 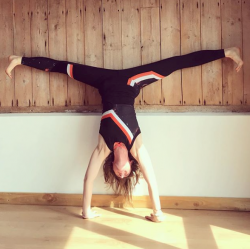 Chichester-based yoga teacher Niki Perry has been practicing yoga since childhood and then 10 years ago she discovered a particular method known as Power Yoga, which transformed her life in many ways. Niki carried out her first teacher training in Hawaii with Baron Baptiste, the founder of Power Yoga, whom she describes as a complete inspiration. She then went on to train further with Baron next time in Mexico where she took her teaching to a new level. Since then Niki continues to train each year deepening her practice and teaching experience. Please see our website http://www.gloriousspa.com for details of our opening hours and locations. Please note it has no cash value and may not be exchanged for other treatments or products or in conjunction with any other offer. Join the Southend Barn Singers! 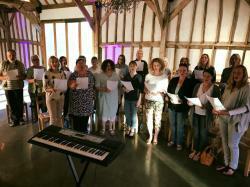 A unique opportunity to join the Southend Barns Ladies Choir. The prize would be for 1 term, similar to a school term. We practice on Monday nights from 7 - 9. Led by Emily from The Deloreans, we all meet up each Monday evening to sing a mixture of modern and classic songs. Minimum bid is £180 (Bid increments are £10). This ANNIE HAAK Floral Silver Charm Bracelet Stack is a very special lot, designed and made especially for Dementia Support. The stack consists of five delicate Sterling silver stackable bracelets with an elegant flower charm full of colour. 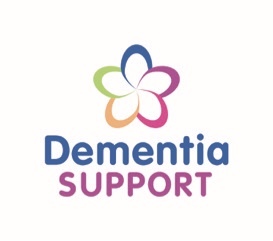 The colours of the flowers represent the colours used in the Dementia Support logo which is also accompanied by an engraved heart shaped charm detailing the Dementia Support floral shaped logo. This stunning stack of bracelets is hand-threaded in rural Petersfield with love, care and attention which are the values at the heart of the ANNIE HAAK brand ethos. Using a combination of 925 Sterling silver round and oval shaped beads, it is hand packaged and presented in a signature ANNIE HAAK gift box. Overnight Accommodation including Breakfast & Spa Access for 2 People at the Southampton Harbour Hotel. 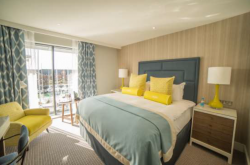 Introducing lifestyle luxury to the marina and city, AA 5 star rated, Southampton Harbour Hotel & Spa has transformed Ocean Village with its striking super-yacht inspired design. Featuring stunning contemporary interiors, alongside the group’s award-winning restaurant and spa brands and the city’s most exciting rooftop destination bar, the hotel’s unique design reflects Southampton’s thriving marine culture and offers a gateway to the beautiful Solent. On the ground floor, The Jetty restaurant, already an award-winning concept drifts out onto an extensive outdoor terrace, featuring luxury relaxation pods to take in the marina views. A further large open plan lounge provides the perfect setting for informal drinks and dining. This Voucher is valid for 2 people including full access to our Spa Facilities. Minimum bid is £70 (Bid increments are £10). There are times in life, young or old, when it just becomes important to break the daily grind and do something different. This could be because you’re getting too focused and stressed at work, you’ve retired and are looking for a different hobby or just want to do something different. Fly fishing is an active sport that requires concentration and focus yet is invariably in an environment that is utterly relaxing. Once you’ve learnt the skill, the action of casting a rod proficiently becomes graceful and almost meditative and the art of luring a fish turns from frustration to delight. Designed specifically for novices, our Experience Days are a fantastic first step on your fly fishing journey. You’ll receive professional tuition and friendly advice throughout the day. And if you’re lucky, you may even leave with a couple of trout. 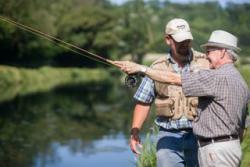 Our Fly Fishing Experience Days are held on Tuesday and Saturday, throughout the year. You'll learn how to put a rod, reel and line together and attach a fly. You'll be shown how to cast making sure that your timing and rod movement is just right with constant feedback from our instructors. And once you've got to grips with casting, you'll learn about fly selection, retrieval and how to play and land a fish. Then, you'll be free to fish for the rest of the day with someone always on hand to provide help and encouragement if needed. It really is one of the best introductions to fly fishing around. The Experience Day includes everything you need to go fly fishing All tackle and equipment. An Environment Agency (EA) day license. Two trout to take home. A fully tutored morning, with up to no more than three others. Support and questions answered throughout the day. Minimum bid is £2900 (Bid increments are £100). 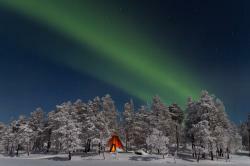 Spend a long weekend for 2 in Finnish Lapland under the Northern Lights. This is the prefect Arctic adventure for those seeking a polar adventure for the first time. Located in the far north of Finland, in Finnish Lapland, this long weekend has all the ingredients for a truly memorable adventure including dog sledding, ice fishing and snow shoeing. With favourable weather conditions, you can also expect to see the Northern Lights dancing above you. This will be even more memorable with one night in a glass roofed Aurora cabin. All proceeds over £2,900 go to Dementia Support. Core Results is not your average health club or gym, in fact they don’t like calling themselves a gym. It is a coaching facility where the expert trainers are on hand every visit to make sure you are getting the most out of your valuable workout time. 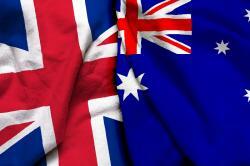 “At Core Results we specialise in long term health and fitness instead of quick fixes. Our mission is to help put a stop to your yo-yoing weight and to get you walking tall with your head held high, full of confidence and sexiness. A 3 hour evening guided mountain bike tour for 5 riders on some of the best trails in England right on our doorstop. The ride is on state of the art electric mountain bikes which level the field for mixed abilities; some degree of fitness is still required, but it takes the grind out of the hills. The ride can be tailor made to suit your ability, whether it be huge vertical ascents and single track for the adventurous, to laid back rolling tracks and back roads for those looking for a more scenic ride. The ride would start and finish in Midhurst or possibly at one of the wonderful local pubs nestled in the Downs where the bikes can be delivered and retrieved. 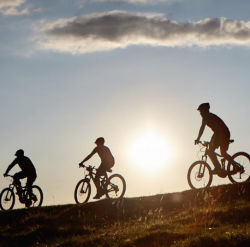 It will be guided by Dan Eames, one of the most experienced mountain bike guides in the Downs. Dan is also the owner of All Ride Now in Midhurst. The offer includes bike hire of 5 premium electric bikes, delivery and retrieval to start location and the provision of a guide - timings to be arranged with Dan. Minimum bid is £25 (Bid increments are £5). 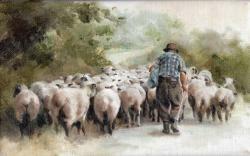 An A4 limited edition print, Up the Lane is by Mandy Shepherd, a local artist. Mandy was born in 1960. Her Art education began with a foundation year at the Byamshaw, London, followed by three years at Brighton to complete an honours degree in Fine Art and Illustration. After her degree, she travelled to Africa to work in Zambia, Zimbabwe, and South Africa. She gained valuable experience with a leading advertising agency in Harare during Independence, worked with a highly successful gallery in Johannesburg researching South African artists and managing to establish her own painting style at the same time. The trip culminated in her first solo show in Zimbabwe in 1980 and this set the pace for an exciting career ahead and a long established and continuing partnership with the Tryon Gallery, [now Rountree Tryon ] in London, for over 30 years. She returned to London in 1982 to join a shared studio for a short while before moving to Chichester which has been her home since 1985. Wildlife took her to the Falkland Islands in 1996 but opened the door to a new world of military subjects from which she has never looked back. Her portfolio includes subjects both wildlife and domestic , military and portraiture. She has most recently painted esteemed portraits of the Masters of Livery Companies, and Judges upon retirement at The Old Bailey. Her book ‘The Falkland Islands – an Artist's Portfolio’ was followed by substantial illustrative material for Flag Officer and Sea Training for the Royal Navy and by the commissioned book for HMS DARING. Her work also features in 'The Shoot Lunch' by J C Jeremy Hobson. Her success has come from her open enthusiasm to paint all things with an expression in fine detail and this attention to accuracy is complimented by an interpretation of subject material which is unique to Mandy. The subject composition sets her apart from other wildlife and military painters. Mandy lives near Chichester, West Sussex, United Kingdom. Two tickets to a day of championship cricket at Sussex CCC in the Executive area on a date to be agreed. The chance to play on the amazing King Robert the Bruce course at Turnberry. Voted the Best New Course in the UK by Square Mile last year. Following the success of the project to redesign and upgrade the Ailsa Course, Donald Trump and his son Eric focused on making the second course as good as it can be. The new title for the course reflects just how extensive the changes have been. The coastal stretch at the far end has been transformed by reversing the holes and producing green settings which are as good as any of those on the Ailsa. The 9th hole, playing all along the coast line is perhaps the most exciting hole which Turnberry has to offer, which is saying something considering the wealth of coastal holes which now exist at the resort. There have also been major changes to the holes further inland with bare sand areas and wetlands replacing the rather claustrophobic gorse landscape over which the course used to play. The 18th green, located right beneath the clubhouse, has been redesigned to produce a great end to the round. For 4 people with first class return rail tickets from London to Glasgow. Trump Turnberry, Martin Ebert, course designer of Mackenzie and Ebert, and Virgin Trains. Why not experience all the fun of Go Ape’s treetop adventures with high speed zips, free fall Tarzan swings and daring crossings? Hitting heights of 30m the treetop obstacles are the ultimate test of balance and nerve. Get your blood pumping with 2-3 hours of action packed adventure. 32 locations, UK wide, suitable for those aged 10 years and over, and over1.4m tall. 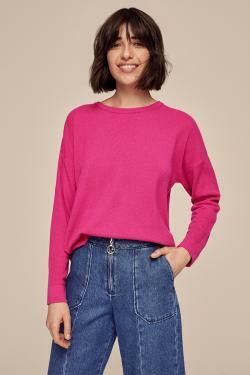 - Cashmere Box Jumper in hot pink (RRP £199.00). Nothing says timeless elegance like a classic cashmere jumper. Our luxe cashmere sweater in a relaxed-fit box cut, can be teamed with tailored trousers to lift your weekday wear or elevate your basic denim. - Cashmere Box Hoody in timeless cream (RRP £199.00). Loved for its relaxed, luxurious feel, this finely woven cashmere hoody is perfect for layering under your favourite jacket or over a dress for laid-back chic and is ideal for travel and weekends. - Cashmere Throw in this season’s coolest colour combination, hot pink and burnt orange (RRP £249.00). Crafted from luxurious 12 gage cashmere, this is the perfect size and weight to wear as a scarf or work as a throw to take you from home to office to long-haul flight. A days’ shooting for two guns in the beautiful fields of Bosham followed by lunch with the backdrop of the harbour – what could be more appealing? 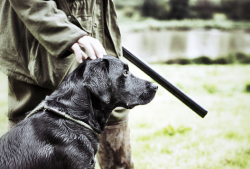 The Southwood Farm Shoot is a family and friends "rough" shoot on farmland surrounding the Bosham creek which aims for a bag of 50 plus and plenty of fun. Lunch, like the shoot, is very informal. £100 buys an Active Minds Kit which helps with cognitive development and reminiscence. Being diagnosed with dementia can cause people to withdraw. They may no longer want to spend time in the company of friends and family and may eschew taking part in activities in favour of being alone. This can become incredibly isolating for them, leading to depression and anxiety. That’s why it is important to encourage activities for anyone living with dementia. This will not only help lift their mood and make them feel more engaged in the world around them, but it may also help stir memories and foster conversation. An Active Mind Kit contains 16 products to support a variety of activities for people living with cognitive impairments, visual and dexterity challenges. The products are durable and infection control compliant, having been designed specifically for care settings. Whatever the interests; puzzles, painting, sensory or board games, there is something in the box for everyone as well as activities which can be completed in a group or individually. A donation of £200 will provide seven half days of day care for a person with financial hardship, giving their carer much needed respite. Caring for a person with dementia can be a significant personal and emotional challenge. One in five carers give up work to look after their loved ones and many experience financial hardship as a result. Recent research in the local area indicated that there was a real shortage of specific dementia care; places that are available are hugely oversubscribed and difficult to access. There was also no day care available for individuals who have not yet received their diagnosis. People living with dementia can come to Sage House and use the specially designed facilities for either a whole day or half day. We offer a quality experience with varied and stimulating support. Option to drop-in to social activities such as singing and art sessions. £500 will allow us to create 10 weeks of interesting and positive activities for up to 20 people at Sage House. The activities include therapeutic singing, mindfulness and movement or watercolour art classes. Sage House Well-being Activity Sessions are fun and interactive designed to increase the happiness and the health of people living with Dementia. Group singing, mindfulness, movement or art is a wonderful way to help people with dementia socialise and lift their mood. Whether people want to join in, or simply let the activity or music wash over them, these activities are enjoyable for people with all stages of dementia. Popular music from the past may also evoke memories and stimulate conversation. £1,000 is the cost of 1 month's information, advice and guidance for 160 families living with dementia. A familiar face will always be available to support people living with dementia, their families, carers and friends. Dementia Support offers a unique Wayfinding Service at Sage House. The team provides information, guidance, a listening ear and active support throughout the entire dementia journey. What is the Dementia Journey? When someone is diagnosed with dementia, it is new and unknown and can feel like an uncertain time. Dementia changes the life of the person diagnosed with the condition and it also has a significant impact on the family and the people who are their carers. The Wayfinders will support families from the start of their journey and throughout the entire Dementia Pathway. Minimum bid is £140 (Bid increments are £10). An absolutely perfect gift for a dance lover, or somebody who has always wanted to try, but never had the confidence! 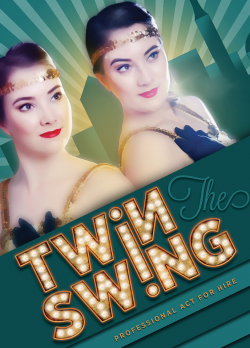 Twin Swing are a professional dance act that are touring the world with their Charleston duo dancing. They love spreading the joy of dance through teaching and always have lots of fun along the way. Perfect for Christmas/birthday gifts, hen parties and team experiences, their private Charleston lessons introduce you to the basics of Charleston, learning moves such as the Black Bottom, Charleston Stroll, Shorty George and more! Most lessons are booked at Dance Attic, a quaint (and industry famous) dance studios in Fulham, London situated nearby to lovely coffee shops, and a 3 minute walk from the station. You may even bump into a few strictly celebrities rehearsing here! If this does not suit, we can arrange another studio nearer to you, this will have to be discussed on the lead up to event. You can book up to 10 friends/family on this class, please confirm at least 2 weeks before booking who is attending. Absolutely fine to just have 2 people as well. You will receive a short video of your lesson/what you have learnt that will be sent to the main contact a week after event. We will provide props/feathers/pearls etc for photo's and for the video at the end. Expires 2 years from the date of purchase. This prize includes a year`s membership which runs until the 31st of April 2019 at Seaford college golf Club. This entitles the winner to free use of the course and the chance to invite guests along with them. 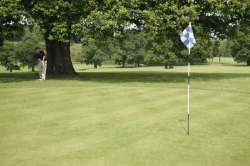 The winner is eligible to enter club competitions and is welcome to a free lesson with the golf pro for 1 hour as well. Minimum bid is £165 (Bid increments are £10). Discover a world-class art collection in the centre of Chichester. 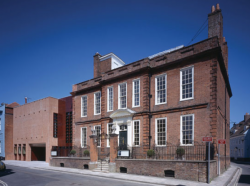 Pallant House Gallery holds one of the best collections of British modern art in the country as well as mounting critically acclaimed exhibitions. A private guided tour of Pallant House Gallery followed by lunch at Pallant Restaurant. You will be greeted by a member of the senior management team and a cup of coffee or tea, before being led around the latest exhibition by a guide. Relax over lunch for four in the beautiful Pallant Restaurant and choose from the set menu (does not include drinks). Minimum bid is £50 (Bid increments are £10). If you haven't got your tickets yet, here's a chance to obtain 2 tickets for the Richmond Enclosure for the second of the Three Friday Nights at Goodwood race course on 8th June. With a UK number one album, two UK number one singles, a festival headliner and a BRIT Award nomination among his many achievements to date, Example has become a household name across Britain, Europe and the US. The Londoner has sold-out tours around the world and is known as one of the best live acts in the business, performing huge hits such as 'Changed the way you kissed me' and 'Kickstarts'. Since his debut release in 2006, he has turned his hand to a multitude of musical genres from British hip hop to rap, electro house, trance, Eurodance and EDM. The Goodwood crowd can look forward to an explosive set of epic dance anthems delivered by two true masters of the dancefloor. 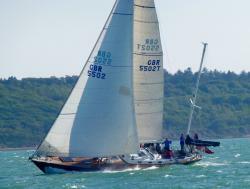 Set off from Bosham Sailing Club and enjoy a couple of hours out in Chichester Harbour aboard ‘Valiant’ – a beautiful wooden (and sturdy!) wooden rowing boat. No rowing experience is necessary but after a little instruction all participants will need to muck in to get the boat moving! With Philippa Gogarty as your cox, and a delicious hamper of picnic goodies included, it is sure to be a thoroughly enjoyable experience for all. Your chef from tonight, Juliet Graham, offers you the chance to bid for canapés for up to 30 people including glass hire and two waiting staff. Offering the very best in corporate and private catering with a broad experience in both front of house hospitality and restaurant and event catering. Mesdames Green & Graham brings you a personalised service that offers the absolute best in choice, quality and style. Whether you are looking to host a small formal dinner party, traditional wedding, large corporate event, charity function at Westminster or even a paella party on the beach, we can offer a delicious selection of menus and a range of services including hire, staff, flowers, entertainment, lighting and sound. Mesdames Green & Graham thrives on providing new and exciting ideas and look forward to making each and every event or party something really special. The G&G passion for food is evident in the quality of their work and whether creating a classic menu or something more unusual, every effort is made to use locally sourced ingredients. On top of this, the bid includes 3 cases of champagne to ensure your party goes with a swing! Ever wanted to see how fit and healthy you really could feel? Well now you can. 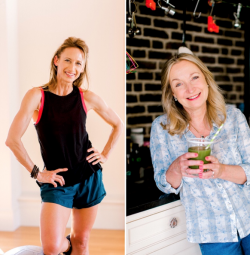 Monique Eastwood and Audrey Backhouse are combining their professional talents to offer someone a 12-Week Nutrition and Fitness Combination Programme. The programme will focus on improving your energy levels, balancing your hormones, strengthening your core, sculpting your muscles and burning fat fast. For 12 weeks Monique will take you through her unique Eastwood Movement Method. Monique is an ex-ballerina who has trained in STOTT Pilates and YMCA Fitness. Combining HIIT, Pilates and ballet movements, Monique has perfected her training style so that it is adaptable for everyone, even A-List Hollywood stars! She has worked on film sets including ‘Edge of Tomorrow’ and the upcoming ‘Mary Poppins’. Audrey will take you through a full nutritional health review. You will be given your own personalised 12-week nutrition programme with nutrition coaching and additional diet and lifestyle advice. Audrey studied at the prestigious Institute for Optimal Nutrition (ION) where she graduated with ‘Distinction’. Her training was based on the Functional Medicine Model. She is also a member of the British Association of Nutritional Therapists. 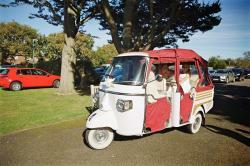 Family day out in a limited edition Italian convertible Tuk Tuk. Maximum capacity 2 adults and 2 children (7+). We will collect you from your home (15 mile radius of Chichester) or another agreed location and drive you to a destination of your choice. Picnic hamper included. Tickets can be used for any Chichester Festival Theatre Festival 2018 show (not winter season) excluding press night performances and are subject to availability (currently The Country Wife in the Minerva theatre is sold out). Prize winners should contact Clare Abrey (no later than three weeks before the preferred performance) at clare.abrey@rathbones.com or by calling 01243 775 373, to inform of whether they would like two tickets or one ticket with a buddy, and which show and date they would prefer. Tickets will then be redeemed and posted out, or left with box office for collection. CFT Buddies are a team of volunteers who come from a range of backgrounds. All share a love for the theatre and are passionate about sharing it with new people. Minimum bid is £500 (Bid increments are £50). A chance to own an Aston Martin DB11 coupé for a weekend. It will be available from Friday 5pm until Sunday 3.30pm with a 200 mile restriction. This offer expires on 31st August 2018 and is available to those over 25 only. The rental of this car is normally around £1,000 per day! A free term's worth of Wellness Wednesday tickets worth £100. This offer comprises four evening talks about how to live well and be healthier with your lifestyle with specific wellness themes covered each evening. Autumn /winter term - dates are to be confirmed, but the evenings run once a month between September and December.